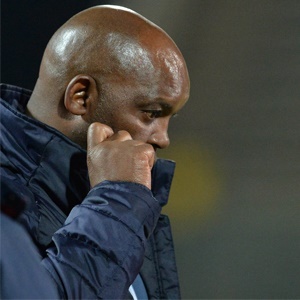 Cape Town - Mamelodi Sundowns head coach Pitso Mosimane says it's within his sides DNA to play fluid and entertaining attacking football for local football loving fans. The former South Africa national team boss made the comments in light of their recent 2-1 defeat at the hands of injury-troubled Kaizer Chiefs - as Steve Komphela's side outwitted their Premiership rivals with swift counter-attacking football. With three games in hand, the Brazilians still have a chance to move to the summit of the table and Mosimane has promised their style of football will remain unchanged despite a run of indifferent results. "We don't know how to park the bus," he said after the fixture at Loftus Versveld. "Nobody ever has the ball when they are playing Sundowns. The only way they know how to play is to defend and park the bus. "Maybe one day we will go to their home grounds and play five at the back," Jingles said in reference to Amakhosi's 5-3-2 formation. "We have a team that believes in going forward and believes in playing football," Mosimane said. "What I am happy about, even though we were not dangerous against Chiefs in terms of scoring goals, is that this is a gallant team, a team with character, where you can even play Thapelo (Morena) as a centre-back but still have him go forward. "This is good because our culture, our philosophy, is that we don’t know how to park the bus (play a defensive style). We have never had a training session of parking the bus. So we always have to go and try and win."